Fraser River Breaks Provincial Park was established as a result of the Cariboo-Chilcotin Land-Use Plan Goal 2 (Special Feature) process. It contains areas of old growth Douglas-fir and open grasslands, both at their northern extent in British Columbia. The area is also classified as mule deer winter range. The park is at the northern extent of the range of the flammulated owl, a species at risk in British Columbia. B.C. has one of Canada’s only populations of flammulated owls, and this area has one of the highest densities of these owls in B.C. The area is also habitat for the Townsend’s big eared bat, another species at risk, which is also at its northern limits. 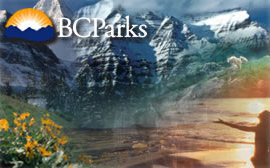 The park is located approximately 12 kilometres north of Williams Lake.